The Blue Marine Foundation, a charity dedicated to creating marine reserves and establishing sustainable models of fishing, has embarked on a “Big Data” project which seeks to investigate how data can be used to support safety in inshore waters. 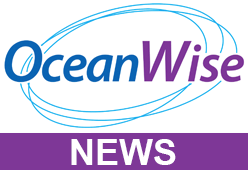 OceanWise, who are marine data experts and provide a range of intelligent marine mapping and monitoring solutions, will provide the mapping data for situational awareness and to allow multiple sources of data to be integrated using location as the common link. The assembly of disparate datasets into a ‘spatial data infrastructure’ will inform safety and risk assessments, and allow preventative measures to be established and resources used in emergency response to be more effective. Dr Mike Osborne, OceanWise Managing Director, commented “The Blue Marine Foundation has identified the opportunity that the capture and better use of big data can contribute to addressing the many safety and environmental challenges in the world’s oceans. We are proud to be working on this important project and believe that overcoming these challenges can be supported by a modern approach to data management and governance”. To visit OceanWise demo mapping please click here. To view more information on the Blue Marine Foundation and the Big Marine Data Project please click here.